Jon Kral spent decades shooting for Florida daily newspapers. To have worked as a daily photojournalist during those decades of unprecedented growth, social and political upheaval and natural disasters, was the best street education a photographer could receive. During his 18 years with the Miami Herald, Kral earned a reputation as an outstanding news photographer who could be sent to any assignment, news or feature, and return with an excellent image on time. Many of his images from Hurricane Andrew were included in the newspaper’s entry that earned the 1993 Pulitzer Gold Medal for public service. His work showing the harsh reality of Venezuelan prisons garnered numerous awards, including a finalist for the Pulitzer in news photography in 1995. A project on Miami’s teen gangs won a Robert F. Kennedy prize for photojournalism. He also covered the volatility in Middle East for the Miami Herald, making several trips to the region in the 1980s and 1990s. In the last several years, Kral has focused on book projects. His first, published in 1999, is a collection of photographs of the Florida cowboys. His other books are fresh looks at Florida’s thoroughbred horse racing, Mississippi steamboats and motorcycle road racing. 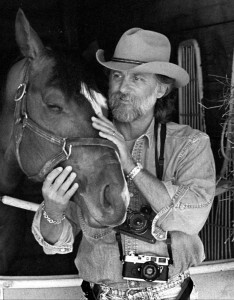 His forte is documentary and equine photography. Kral now lives in the mountains of North Carolina.